I've written so many stories about the triple-World Champion dressage stallion Totilas. I've taken so many photographs of him. But you know, I've never really seen his feet. The horse always has bell boots on. They take them off at the edge of the arena, and they put them right back on. In case you haven't heard of him, Totilas and his rider, Edward Gal, swept the Alltech FEI World Equestrian Games last fall. They took home all three gold medals for The Netherlands. A few weeks later, when Totilas was sold by his Dutch owners to German stallion magnate Paul Schockemohle, I wondered if he might very well have bought the horse without ever seeing his hooves. But something tells me that the hooves weren't why he paid so many millions for Totilas. This is what we saw of Totilas's feet at the World Equestrian Games. There were bell boots of many colors. I always had the feeling, though, that my time would come. I didn't think or wish that the horse would go lame; his Dutch horseshoer is my friend. I thought maybe there would be an auction of one of his shoes or a celebrity horseshoeing stunt and I'd be there to photograph it. Instead, the horse was sold. Soon after Totilas was off to Germany, I found this unlabeled Swedish video on YouTube with comments from Dutch farrier Rob Renirie about shoeing Totilas. For true fans, this video will be a revelation, as it actually shows the bottom of one of his unshod feet, something not shown before, to my knowledge. This video was made a year ago, but I only discovered it after the horse was sold. A few weeks ago, England's Horse and Hound Magazine did an interview with Matthias Rath, the lucky German rider who has taken over the reins of the great horse. Totilas looked very sporty in the photo shoot by our friend, Dutch photographer Arnd Bronkhorst; he sported stealth-style black leg wraps with matching black bell boots. A new image! Right about the same time, this blog started to get queries about heart bar shoes. There is nothing unusual about that. We get queries at all hours of the day and night. 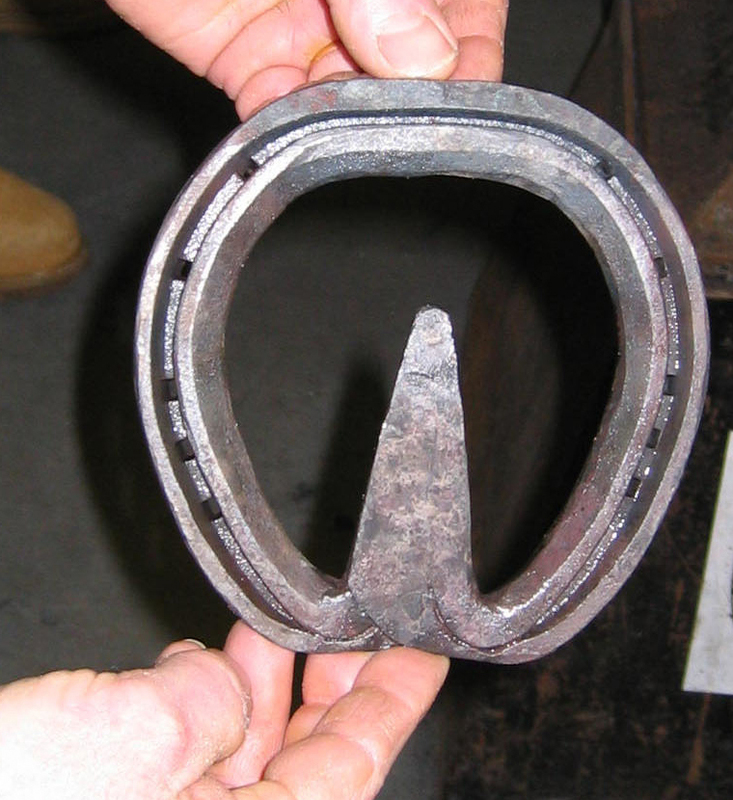 It is laminitis season, so questions about heart bar shoes seem logical in April. But these questions were on the order of: "Why would a dressage horse wear heart bar shoes?" Another asked me point-blank if a heart bar shoe meant only one thing: laminitis. A quick google told me what was going on. The rumor on the Internet was that Totilas was wearing heart bar shoes. Except it wasn't a rumor. On the Horse and Hound web site, a new set of Arnd's photos was posted from the same shoot that had been in the magazine, but this series showed the bottom of the horse's feet (in bell boots, of course). And he is undeniably wearing heart bar shoes on both front feet. Note: When I first posted this story, I did not know that the photos were taken by Arnd Bronkhorst, although I should have guessed! You can see (and purchase) pages and pages of photos of Totilas, of Rob Renirie, and of whatever else in the entire horse world you'd like to see on Arnd's searchable database of extraordinary horse photography. 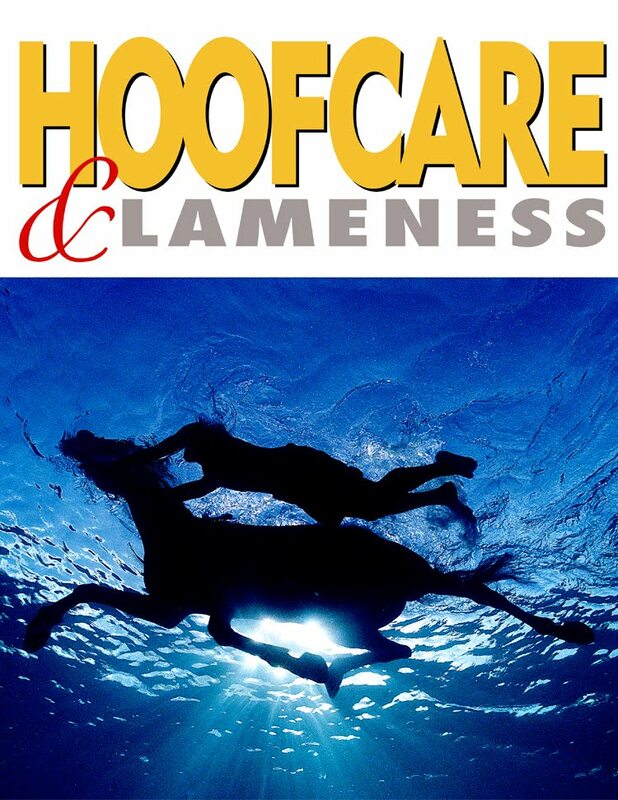 You'll also see where some of Hoofcare and Lameness's favorite and award-winning magazine covers originate! Arnd's website is one of the very best things on the Internet, in my estimation. I still wasn't sure I should write anything about this great horseshoe expose. I talked it over with a friend; I could tell she wasn't impressed. I emailed Rob Renirie and Matthias Rath. But I knew that if I didn't write about what heart bar shoes were all about, the rumor mill wouldn't have an anchor. Now I just have to hope that people find this information. Then on Wednesday, I received notice that Totilas had to cancel a public appearance, and that he was suffering from an abscess in one of his left front heels. That transparency impressed me as much as the news saddened me. The message was that he needed a few days off but that he'd still begin competition the first week in May. What's wrong with Totilas? Maybe nothing. 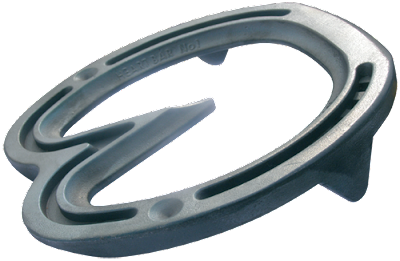 A heart bar shoe is recommended for something as minimal as to help increase sole growth on a flat-footed horse or to relieve pressure on the hoof wall when the hair line at the coronet is uneven, so it can grow more uniformly. It might be a rest shoe. Or it might be a full support shoe for a lameness issue, but it's doubtful that his backers would still be training him. The key to a heart bar shoe is how much, if any, pressure is applied to the heart bar. Pressure is key for laminitis therapy; support is key for sport horses in need of wall or sole rehabilitation. As far as disorders that respond to heart bar shoes are concerned, there is a long list of conditions that might improve with a heart bar shoe if it is fit properly. It is one of several shoes that a vet and farrier will try out to see how the horse tolerates it. Some horses barely tolerate frog contact, let alone any pressure. Other horses thrive on it. This is a heart bar shoe handmade for a horse with laminitis. Every heart bar is different because of the shape of a horse's heels and foot, and the width and length of frog. I believe that the horse's toes had been resected (hoof wall cut away). With laminitis, the only sound place to nail may toward the heel area. 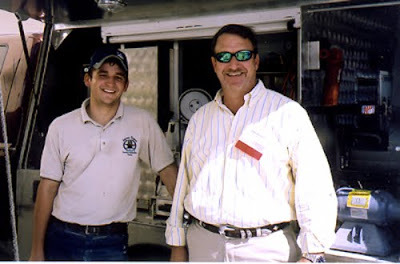 David Gulley/Mark Caldwell photo. So what about these shoes for laminitis? First of all, if Totilas had laminitis, there would likely be a pad and some type of support material filling his foot, and he wouldn't have been schooling in front of a photographer a month ago. I checked in with James Gilchrist of Wellington, Florida, who probably shoes more Grand Prix dressage horses than anyone in the USA. He concurred that there are many reasons why a horse would be shod with heart bar shoes during the off season. 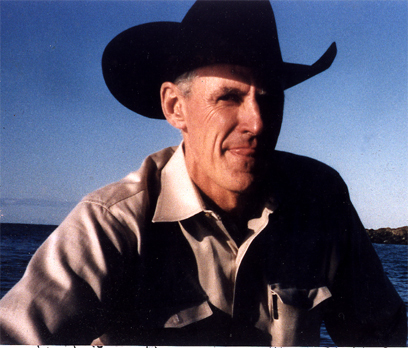 He immediately quoted Rob Renirie, however, in stating that, when the time comes for competition, the best shoeing is also the simplest, most uncomplicated shoeing. James Gilchrist (right) spoke on sport horse farriery at the 3rd International Equine Conference on Laminitis and Diseases of the Foot, along with fellow sport-horse specialist Aaron Gygax, left, of Switzerland, in 2005. James Gilchrist didn't seem surprised that a grand prix world champion horse being used for breeding and not competing would be wearing heart bar shoes in March. That said, James and I both see dressage horses competing at all levels with heart bar shoes on. Some vets and farriers say that they like bar shoes, particularly in deep footing or if the horse has had suspensory problems, because the horse will "float" more and not sink into the footing. If a horse sinks too deep, he has to work harder to breakover, and the strenuous upper level movements can lead to early fatigue. The shoes should match the footing, but the footing shouldn't be too deep and strain the horses anyway. Another aspect of heart bar shoes is that they come in, or can be made in, all weights and thicknesses of materials. You can pop on a set of beautiful Imprint plastic glue-on heart bar shoes right out of a box. Laminitis calls for a lot of seating out. They can be made from fullered steel, British style, or aluminum, American show horse style. As big as a Shire's hoof, as tiny as a Shetland's. But for all the talk about heart bar shoes, what you don't hear about is that they are one of the most difficult shoes for farriers to learn to make and/or fit. And they must be truly fit to the foot and to the frog. Many farriers don't like them either because they have had bad experiences with them or they never bothered to learn to use them correctly or they prefer other methods that they feel will achieve the same results. Possibly as many horses have gone lame because of heart bar shoes as have gone sound. The farriers who know how to fit them have a very valuable skill. But a skilled farrier can still meet a horse who won't tolerate the shoe; the skilled farrier recognizes that, as well. Heart bar shoes were dug up from the old shoeing textbooks and re-introduced to the horse world in the early 1980s by a farrier from Lubbock, Texas named Burney Chapman. Burney isn't with us anymore. He died of brain cancer eleven years ago, when he was just 57 years old. But if his shoe is helping Totilas, our friends in Germany should turn toward Lubbock, Texas and tip their hats to the man who made it possible. Totilas should take a little bow. Somewhere, Burney Chapman is smiling. It all comes down to this: if Totilas is sound under his new rider the first week of May when he comes back into competition after almost eight months off, we'll all be smiling. I am sure I speak for the universe when I say that no one wants that horse to be lame. He was born to be in motion. 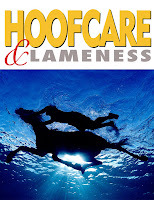 Call the office to order your copy or email books@hoofcare.com for details. Always enjoy your articles and updates...I was told by one of my mentors who is good friends with Rob that Totilas wore Kerckhaert Sn vet-grass shoes, which always made me secretly very happy. Then I saw that video with Rob and the horse and there were the Sn's :). While they are a shoe you have to respect (the AFA would hate them because if you fit them to their standards you would cripple a horse), at the end of the day they are just a simple toe-clipped shoe. I guess I kinda took pride in the fact that sound, basic horseshoeing carried out to the highest level is all that top horses like Totilas needed. I'm friendly with quite of our top farriers (at least in terms of the dressage, hunter-jumper world, not so much the competitive blacksmithing side) and some of them use quite a few heartbars. So I'm certainly not trying to take away from their use or say anything negative about them. Just felt like Totilas was a perfect display of beautifully simplistic shoeing, and I hope people don't forget that now that he has been spotted sporting a pair of heartbars. I have seen the shoeing video of Totilas, What are your views on the length and flare of toe, contraction of heel? would this begin founder? I'm not sure what video you mean.If you mean the one that I posted, there is barely anything at all shown of the horse's feet, and I don't think the purpose of the video was to show much detail of his feet. The purpose of the video was to talk about Rob as his farrier and to interview him. That video was made probably a year ago (it's impossible to tell since the date it was posted on YouTube has nothing to do with the date it was filmed) so it's impossible to know what changes his feet have been through since it was filmed and/or since the World Equestrian Games. And, as I said, you can't see much anyway! We will know more in two weeks when he competes for the first time since October! I'm looking forward to that. I read your article Totilas: Heart Bar Shoes for the Dressage Champion.Thanks for thanking Burney. PS. Since 1984 I have only had 2 horses that could not tolerate the heart bar and you know I've done my share.